PlentyOfFish is an online dating site, and they’re not lying-there are plenty of fish out there for you to meet! PlentyOfFish (POF) understands how dating works, and ensures to set you up with someone that’s actually worth your time. In order for this to work, each user is asked to assess their dating needs in a dating assessment, which narrows down what you’re looking for. 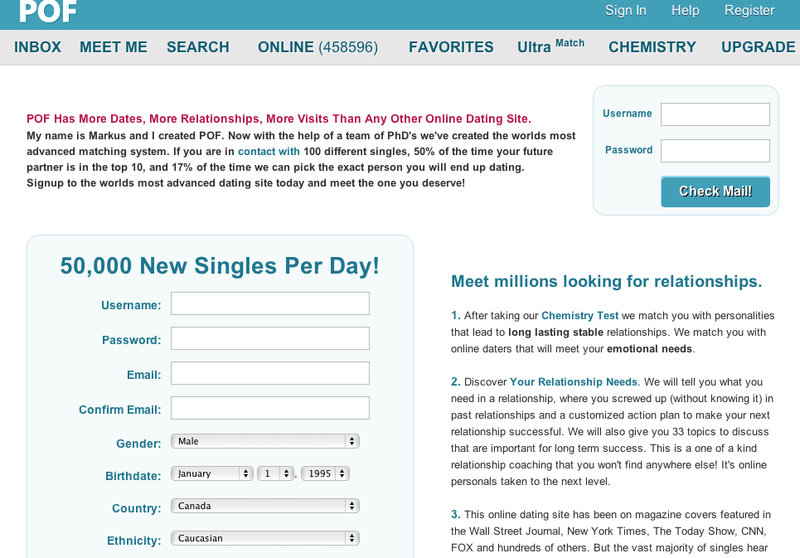 This helps POF find you the perfect match based on refined searches. Like many online dating sites, POF takes you through a series of questions that will give them a more detailed account of what kind of person you are. 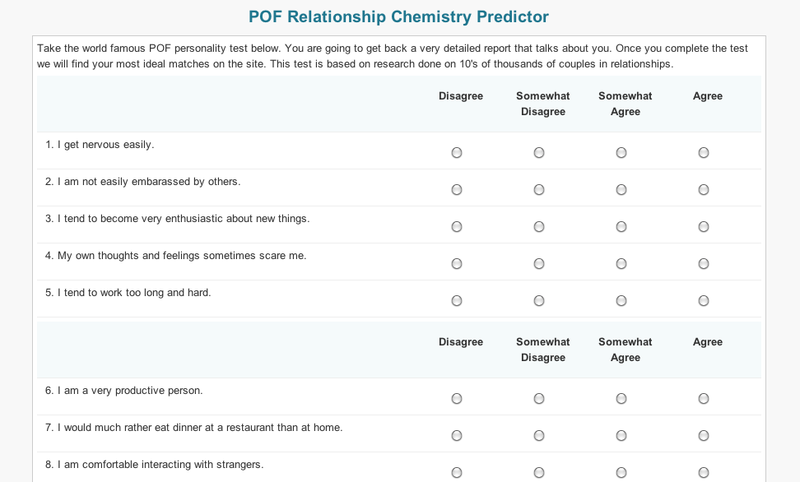 On POF, they use a system called the “Relationship Chemistry Predictor,” that asks more than the usual amount of online dating questions. While one might think this is overwhelming at first,it’s quite effective in narrowing down your options. POF lets you see who’s online so you can talk to prospective matches in real time. This is also an important feature because it lets you know who’s dedicated to meeting people, versus those who may have a dead, unused account. 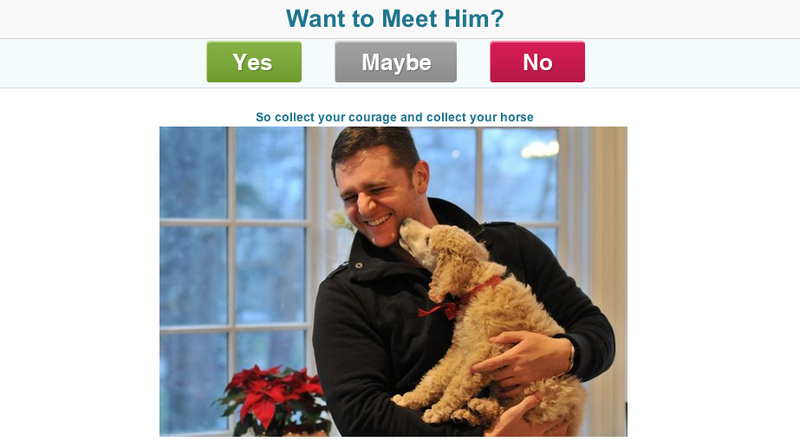 POF’s “Meet Me” feature provides you with photos of other users, a small caption that they’ve created, and the simple question=Want to meet him? This is an easy, one click step in learning who wants to meet you and who doesn’t! It’s also a fun feature when you’re navigating through this online dating site. Find out who read your messages/who deleted them! Once you upgrade your membership, you’re actually able to see if your messages have been read, and even more forward, who’s deleted them. This is a good way to find out who’s interested in you. If you find out fellow users have deleted your messages, you can move on quicker to your next potential match. After all, they are plenty of fish out there! Although POF is a completely free dating site, there are benefits of upgrading your membership with an extra monthly fee. To name a few-you’ll sheet up first on the ‘Meet Me’ feature, your POF account will be completey ad-free, and you’ll actually be able to learn EXACTLY when people were contacting you. Let’s start with the pros! -Online dating sites are about feeling good about yourself, feeling wanted, and learning about prospective matches. On POF, you can learn who’s “favourited” you, and you can make your own favourite list so you can easily return to user’s profiles that you’ve enjoyed. -POF’s in-depth personality tests really narrows down your options to learn about who you mesh with, and who you don’t. -As you browse through various user’s profiles, you may find that many of them are missing profile pictures. This can be pretty annoying if you like what they have to say, but can’t see how they look. How they hiding something? As a whole, POF is a well-known online dating site that’s really created a name for itself. It’s funky title gives its users a carefree attitude, that essentially, there’s nothing to worry about when it comes to dating because you will find the one! He/she is most definitely out there. POF offers a number of features that gives its members an engaging user experience, whether its being matched up with someone based on similar personality tests, chatting with prospective matches, learning who’s close by to you, and browsing through tons of pictures and profiles. And the best part is, POF is completely free to join!